I received a copy of Drawing with Mark DVD, We All Scream for Ice Cream and Happy Tails to facilitate this review. 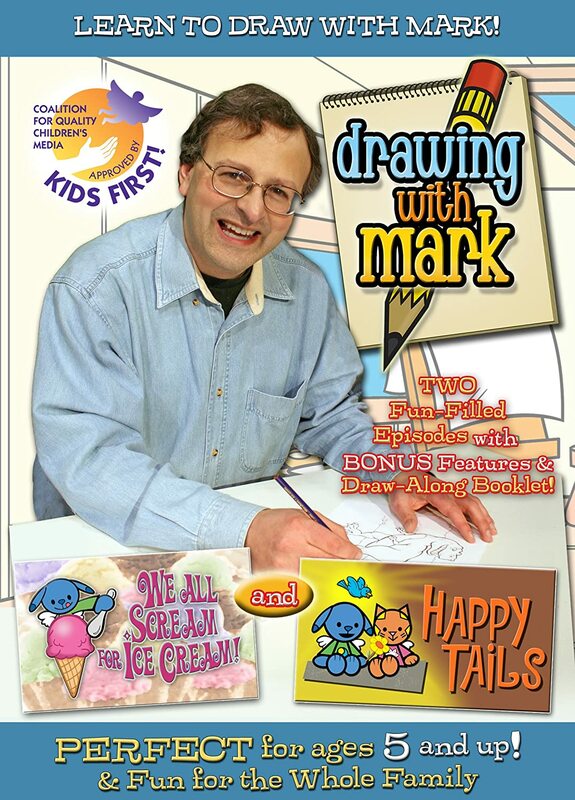 Drawing with Mark is an award winning TV series that teaches children ages 5 and up how to draw using basic shapes. Drawing with Mark is hosted by Mark Marderosian, cartoonist and illustrator who has worked for numerous companies, including Walt Disney Productions, Universal Theme Parks and Hasbro toys. He is known for drawing Mulan, the Little Mermaid, Mr. and Mrs. Potato Head and the Initial Toy Story merchandise. I was able to review the Drawing with Mark DVD, We All Scream for Ice Cream and Happy Tails. This DVD instructs children on drawing ice cream cones and a truck and furry animals from the Buddy Dog Humane Society. The DVD contains bonus features including a bonus drawing lesson, a draw-along booklet with coloring page insert and instructions on how to download more free coloring pages. My girls and I watched the DVD. They are 7 and 9. The cartoon characters seemed a bit juvenile for their ages, especially the 9 year old. However, they both paid attention when the drawing lesson started. We all found that Mark went too fast in his instructions and frequently had to get the remote and hit pause. I personally, have never been a fan of the circle drawing, then erasing parts (i.e. for joints, etc.) but for a change, I think I understood its usefulness. My youngest became very frustrated with the pace and with figuring out what you had to erase and what should be drawn. 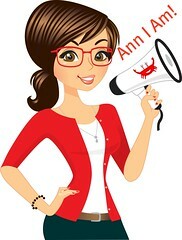 She tends to be perfectionistic and easily frustrates when she can't do something the way her mind thinks she can. My nine year old followed along and had more fun. Knowing that this has won the Parent's Choice, Creative Child Magazine and Dr. Toy awards just to name a few, I would think this DVD might be more appealing to children younger than 9. My youngest that was frustrated does often get easily frustrated when she doesn't get something right off the bat and wants to be a perfectionist at times. Maybe had I explained that we would stop the video as we went along prior to watching, she wouldn't have felt so pressured. Want to try it for yourself? Then enter this giveaway below! Disclosure: I received a copy of Drawing with Mark DVD, We All Scream for Ice Cream and Happy Tails to facilitate this review. my granddaughter. 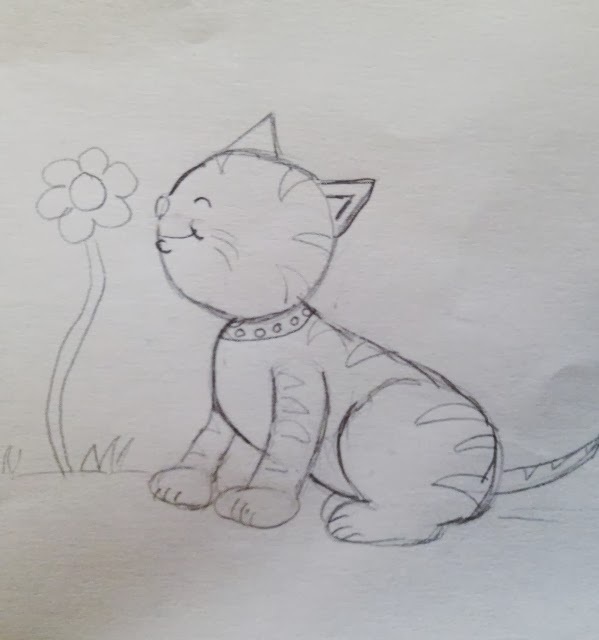 Shes just learning to draw. She got art supplies for Christmas. I would give it to my 10 year old son who loves to learn how to draw. I would give this to my children, Gus (12) and Lydia (7). We homeschool, so this would be perfect for our Art studies!